I’ve been covering a couple of popular Canon point and shoot cameras lately. But what if you’re looking for something better. Perhaps a Digital SLR (DSLR)? Canon’s got you covered in that department too. 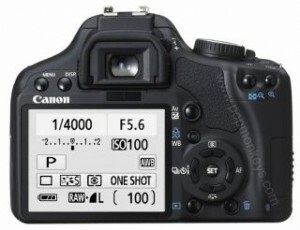 DSLR can cost over $5,000 for some professional models. That’s way too much to spend on a gadget. How about $700? That’s a little more affordable for much more functionality and much more camera. 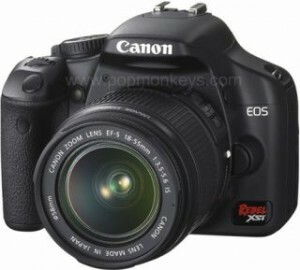 Enter the Canon Rebel XSI DSLR. Since DSLR write so much data in such a short time, a fast memory card can help reduce the lag time between shots. You certainly don’t want to spend all this money on such a good camera and have it take bad photos. The Canon Rebel XSI wanders away from the traditional compact flash and adopts SD/SDHC memory cards. This is certainly a welcomed change due to the popularity and variety of SD/SDHC memory cards. 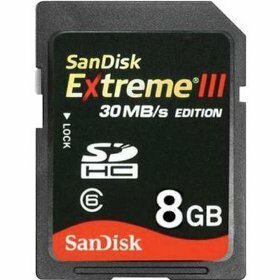 But when you aska professional photographer, most will recommend the Sandisk Extreme III 8GB SDHC. The bottom line…How much will all this cost me? I’m picking Amazon.com for this purchase because they are reliable and shipping is free and fast. This entry was posted in Digital Camera and tagged DLSR on December 16, 2008 by admin.